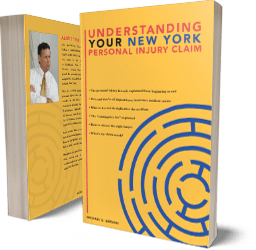 As Syracuse tractor trailer and truck accident lawyers, we have seen first-hand the serious injuries truck collisions cause. There are three reasons they are so dangerous. First, a fully loaded commercial tractor trailer, especially 18-wheelers, can weigh 80,000 pounds or more. That’s about 25 times the weight of an average car (3,000 pounds). It’s no surprise then that the car is often pulverized while the tractor trailer is only dented. And guess what: All the energy forces of the collision – called “g forces” -- transfer to the human bodies inside the car but hardly affect at all the truck driver. This is simply a law of physics. That’s why the trucker often walks away unharmed while the motorist and passengers in the car suffer severe injuries or get killed. The second reason big commercial trucks, including semi-trailers, are so dangerous is that, because of their size, it is not unusual for them to collide with more than one vehicle at a time. A tractor trailer that “jackknifes” on a highway can take out several vehicles at once, killing multiple people in the same accident. Our Syracuse tractor trailer and truck accident lawyers have seen many multiple-vehicle accidents caused by tractor trailers. Third, tractor trailers and trucks are more dangerous because their load can shift and even fall off during a collision, which can then spread over the roadway causing obstacles and dangers to vehicles nearby. Fourth, heavy vehicles can’t stop quickly. Their braking time is much, much longer than a car’s. They are thus unable to avoid collisions as easily as cars. Fifth, they are unable to maneuver around hazards or avoid collisions. A small car can quickly change directions to avoid oncoming collisions. Not so with a big commercial truck. Finally, the sixth reason these vehicles are so dangerous, as every experienced tractor trailer or truck accident lawyer, whether in the Syracuse area or elsewhere knows, is that they sometimes carry products that are flammable, hazardous or toxic. Cars seldom carry such materials. When a commercial vehicle carrying propane gas, for example, collides with other vehicles, the resulting impact may cause an explosion that injures nearby pedestrians or others. Or if the vehicle is carrying toxic substances, a spill might result that causes those nearby to get sick or die. For the reasons above, commercial trucks or tractor trailers, when involved in an accident, pose vastly larger threats to human life and safety than smaller vehicles do. Our Syracuse tractor trailer and truck accident lawyers know this from experience. Fortunately, our lawmakers know this, too, which is why they have enacted numerous laws and regulations, both at the state and federal level, to minimize the risks that commercial vehicles inevitably pose to society. Chief among this network of regulations are the federal Motor Carrier Safety Administration (FMCSA) rules. Those rules, as well as other state laws and regulations set forth in OSHA and other places, dictate how commercial truckers must handle and transport toxic and flammable materials, and further provide rules regarding the number of continuous hours a commercial truck driver is permitted to drive; log keeping regarding rest time versus driving time; truck and tractor maintenance and inspection and log keeping; driver training; background screening of drivers; securing the load, etc. Why is it important for your tractor trailer or truck accident lawyer, whether in the Syracuse area or elsewhere, to know why commercial trucks and tractor trailers are so dangerous? Well, he is going to have to one day present your case to a jury or at least to an insurance adjuster to attempt to settle the case. 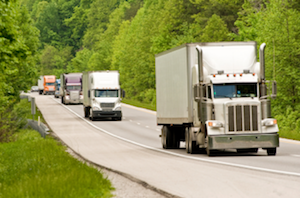 When explaining the case to a jury (or an adjuster), your lawyer has to make them understand how dangerous commercial trucks and tractor trailers are, and why it is therefore so important that the drivers of these dangerous vehicles adhere strictly to the safety rules our governing bodies have created to control them. Although a jury or an adjuster might have some place in his or their heart to “forgive” a car driver for not checking his brakes, for example, on a regular basis, they will be less forgiving – in fact not forgiving at all – if the dangerous nature of tractor trailers and trucks is fully explained to them. If these dangers are fully explained to the jurors, they will feel that they and their family members are threatened when tractor trailer and truck drivers don’t fully comply with all the safety rules. They will thus be very harsh on the truck and tractor trailer driver who has disobeyed even minor safety rules if they are fully informed of the heightened risks to all of us posed by negligent tractor trailer or truck drivers. If you need experienced tractor trailer or truck accident lawyers in the Syracuse area or anywhere in upstate New York, don’t hesitate to call us for a free consultation.